This year’s MAC Conference has been brought to you by [your brand’s name here]! The branding wizards here at the Marketing Association of Credit Unions (MAC) know the infinite value of brand recognition: It reinforces customer loyalty and opens the door to new relationships. What better way to showcase your brand than a sponsorship at the Mecca of credit union marketing events: The MAC Conference. We want the best for our conference and attendees, that’s why sponsorship eligibility is limited to MAC Associate members! Want in? Become one of us now, and start enjoying the benefits of membership! While exhibiting is not required of sponsors, those who do exhibit get to choose their sponsorship option first—plus a ton of awesome perks. Nonexhibitors will also be required to register for the conference. YOUR LOGO will be on rotation in the main ballroom for everyone to see all week. We’ll also include it on the MAC website and our MAC 2018 Conference app. HIGHLY-CLASSIFIED INFORMATION. And by classified we mean attendee names and email addresses in alphabetical order. YOUR MARKETING MATERIAL PLACED IN OUR HANDBAG. Get to put one marketing piece in a stylish bag that attendees will receive. NETWORKING…NETWORKING…AND MORE NETWORKING OPPORTUNITIES Over 10 hours of official, focused time with attendees. And what you do with it…is left up to your creativity! SIGN ME UP FOR NEXT YEAR, TOO! That’s right… we’ll be taking orders during the conference for 2019. This is a two hour workshop on a topic that takes a little more time to dive into than one of our shorter sessions. It is recorded and made available to conference attendees who may not have been able to make the first day. Sponsors receive recognition on signage and the opportunity to speak at the beginning of the workshop. Each year we try to do something fun, exciting and outside of the box for our opening reception, in 2018 it was a San Diego Padres game, 2017 we did a rooftop party pool side. For 2019, we have something even better planned that involves team building with a New Orleans twist. Sponsors will not only get recognition on signage but also the opportunity to lead a team of MAC attendees in building a mini Mardi Gras float! What better way to get to know the attendees. Special introduction and recognition at the keynote; One additional conference registration (up to $1,299 value); Opportunity to speak about your company prior to the keynote (up to three minutes); Tweets, Facebook posts and other online shout-outs leading up to the conference; Your company name and logo in lights (well…at least on the screen) as the keynote sponsor; Your option to leave marketing material, money or some kind of promotional literature on the tables. You’ll get a special introduction and recognition, your name with the session description and the opportunity to leave marketing material on the tables. It’s your brand – as a fashion statement! After all, every attendee will wear your company’s name around their neck all week. You supply the bags with your logo on them (as well as the MAC approved MAC 2018 logo of course), and we’ll supply the attendees! They’ll need something to put all the good stuff in from this conference right? And you might as well have your name on the outside of that bag they’re going to be carrying around, right? One of our most popular networking events, this brings exhibitors and attendees together over appetizers and drinks, at their booth. Sponsor a “beverage” bucket (or two) at your booth and you’ll have attendees flocking to you like a mouse to cheese. Signage in the breakfast space. Signage in the lunch space. Heads are exploding…awards are being kissed and cuddled…and it’s time to party! This exclusive after- party sponsorship includes your name up on the big screen as we wind down the awards ceremony and begin the celebration. Signs with your logo to guide attendees into the party, as well as inside too! 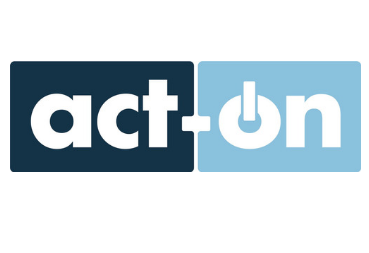 Act-On believes that every marketing interaction can be personal and meaningful. We drive more relevant multi-channel marketing, with the fastest time-to-value, by turning customer data into substance you can act-on. We have helped financial service industry leaders see a 3X increase in open rates on follow up emails and getting better conversion rates using lead nurturing campaigns.